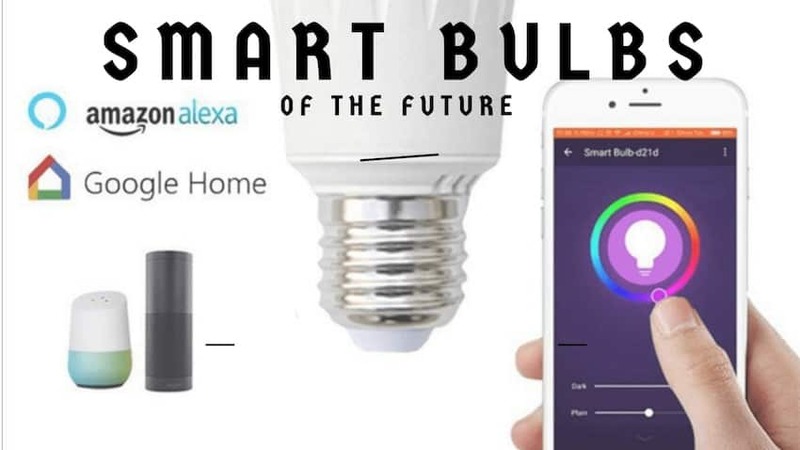 Smart bulb, smartphone, smart living! These three words can be put together into one framed sentence, and shape a smarter living for the smarter you. Smart lights are the upcoming fad in the home-decor, as well as in technological advancement, and that too for all the practical reasons. Less participation in the carbon footprint register is what makes this smart bulb smarter and environmentally friendly too! Slightly on the pricier side in comparison to the commonly used light bulbs of today, they are worthy of your very hard-earned buck. Keep reading to reveal the best reasons why. If clapping twice could turn off lights or get them on again on your command, won't living be fun and effortless? "Minimal effort and maximum control" is the bottom-line of this technology under the umbrella term of -smart home. Smart devices and furthermore, irresistible smart home devices are the next hit humankind needed. With a dash of luxury, and the authority to claim how your mood-lighting should be every few minutes is pretty cool if you ask us. If you're one of those who have a mental debate on whether or not you've switched off the lights or turned the gas off, this feature is definitely helpful to you. If clapping twice to turn on and off the light bulbs is still a tiring task for the lazy person who demands maximum comfort, try speaking. Give commands from anywhere inside your house/ office/ range of establishment, and watch the latest technology unfold its magic. You can simply ask the light bulb itself to turn on and off with your voice. Light bulbs are wi-fi enabled. Compatible to be paired with smart home devices too, like, with the Amazon Echo, you can tell Alexa to switch on the lights for you when you come home. What's more to it is that you can also tell Alexa to change the color of these lights, or ask her to switch off the lights of the Kitchen while you're relaxing on your front porch. If "one product-many uses" is your shopping motto, then a smart bulb won't do you wrong. Investing in one will eliminate the need for a speaker all-in-all. Since these are already Wi-Fi enabled and can be easily installed, you can enjoy music playback from anywhere in your house. Companies are working to make the audio quality better and the decibels pumped up as it should be, we don't complain about its present date functionality. Any smart device isn't smart if it doesn't uplift your life. This device contributes to boosting your deep sleep, and the REM cycle, with mood lighting. The features of emitting particular wavelengths lighting are the game changer here. It's a party in a bulb. When this lighting is added with the peaceful sounds emitted from the speaker of this bulb, you get the complete package for a power nap. With the transformation of day to night, the smart bulb increase melatonin level which is onset with the different temperature light emission. Apart from doing the obvious of lighting up your living space, these lights can be dimmed to intensities suited to you. The smart bulb and mobile application integration give you the control to make it possible. If your mood is a party mood, change it to a funky yellow, or a mellow pink for a relaxation session by the tub or the yoga session you plan. The IOT application is strong on this feature and will see a strategic boom with the advancement of revolutionary 5G connectivity. In the current market, many electronic consumables companies are coming up with solutions to cater to this smart living dream. Advertisements are fast-paced just like the target consumers are, neat and apt. Syska LED is emerging as one of the trend-setters for this. Other companies like Phillips, Su-Kam are also setting foot on the lower price range. It will be interesting to see, how the consumers integrate this technology into their everyday life as it's just another everyday household name (puns intended).